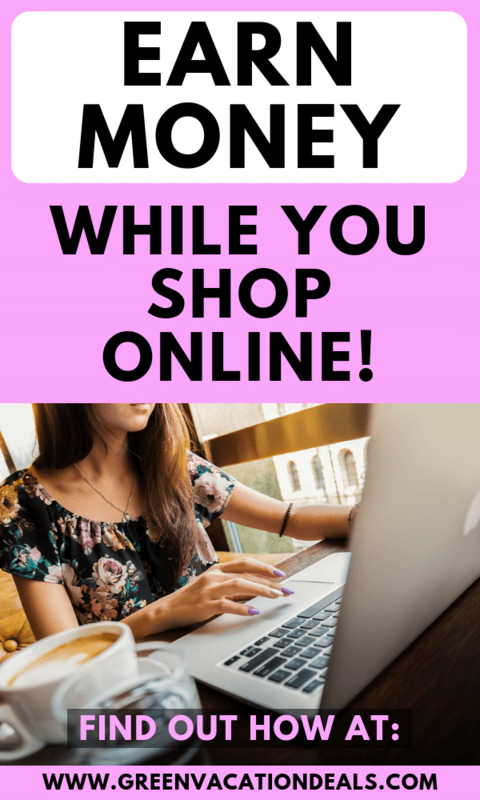 I love shopping online… but I love earning money from shopping online even more! 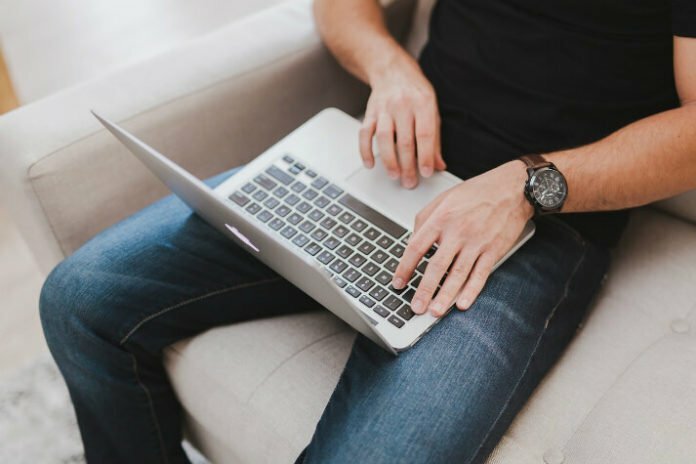 There are several free programs online you can sign up for and then get money back on your online purchases (kind of like a rebate). This is an excellent way to earn easy money that you can use for a vacation fund or add to a vacation budget! Let’s take a look at the top 3 programs. This is my favorite way to earn money when shopping online. Each Swagbuck (SB) is roughly equal to $0.01, so 100 SB = $1.00. You can redeem your SB for a number of giftcards. You can also link your PayPal account to your Swagbucks account, which gives you even more options for how you spend your earnings. My current favorite redemption method is Walmart gift cards. I use them at Sam’s Club to buy discounted Disney gift cards, and then use those Disney gift cards to pay for Disney hotels and meals at Disney World and Disneyland. There are a number of other great ways to save money on vacations, including getting gas gift cards, airline gift cards, Hotels.com gift cards, restaurant gift cards, and more. 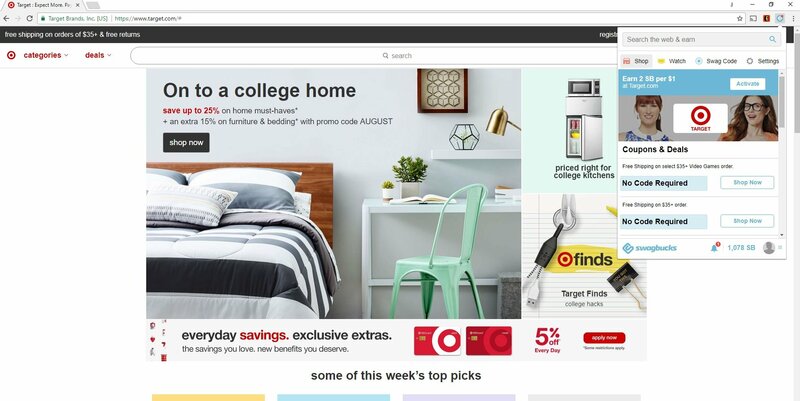 Before you purchase something online, you need to go through Swagbucks first. The good thing about the Swagbutton browser extension is that it can remind you to use Swagbucks – that way you won’t be kicking yourself after making an online purchase for forgetting to earn Swagbucks from it! Tip: If for some reason the browser extension stops working, uninstall & reinstall it OR try a different browser. 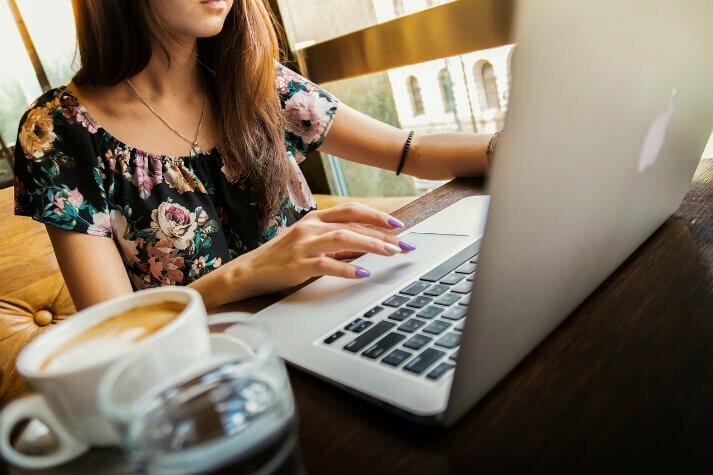 In addition to earning money through online purchases, there are lots of other ways you can earn SB – watching videos, taking surveys and simply using the Swagbucks search engine, to name a few. All of these activities really add up and can be a great way to make a vacation extra special or even pay for the vacation itself. Not all items give the same cash back, even from the same store. For example, when ordering online from Walmart, you would get 3% from ordering a toy, 2% from a home improvement purchase, 1% from the electronics department, and nothing from ordering a gift card. This is subject to change, so you’ll want to click on Coupons & Details when you search (or check the special terms) to see how much you get back. Also, you can use Swagbucks at a number and variety of actual stores, but you can also use it on hotel reservations. Ebates is the simplest of my three favorite methods. It’s a lot like Swagbucks, except your earnings are listed in dollars instead of having to convert from SB. You can either get your earnings through PayPal or sent as check in the mail. I chose PayPal so that I don’t have to worry about the check coming while I’m traveling. Like Swagbucks, before you purchase something online, you have to go through Ebates first. Ebates really is a very straightforward way to earn money from online purchases. The money I earn is sent to me automatically – less work for me! Your Ebates earnings are sent to you quarterly – that is, every three months. It doesn’t always come exactly on the first of the month, either. This can be a bit frustrating if, for example, you’re really wanting to earn a little extra spending money for a vacation that’s coming up before the next payout. On the other hand, when planning for future trips, it can help to know that you basically have some extra money set aside! As the name suggests, this is a program for earning money when you buy things on eBay. You earn 1% back (sometimes more) on most purchases on eBay. You’ll get those earnings back in the form of an eBay Bucks Certificate that you can then use on eBay to buy more things. If you shop a lot, or even at all, on eBay, there is no downside to joining the program. It is free to join, and earning the eBay bucks is automatic when you shop at eBay. Please note that, in order to join, you must have an eBay account, a US address tied to the eBay account, and a valid PayPal account. You’ll need to use that PayPal account when shopping on eBay in order to earn eBay Bucks. Sign up, and then shop on eBay. It’s really that simple! You don’t have to go through any browser extension or other website first. This is the easiest program to use because you don’t have to think about it before making a purchase on eBay. From time to time, they will run promotions that will increase your earning percentage on eBay Bucks. For example, just yesterday I received an email letting me know that for the next three days, I could get 8% eBay Bucks (the normal amount is 1%). Now, I will have to activate the promotion by clicking on an Activate button in the email, which does require a little extra work for me. Earning 8 times as many eBay Bucks would make it worth it, though! You can only earn eBay Bucks on qualifying purchases. Most purchases will qualify, but certain items, such as gift cards, are excluded. If you see a little green “Bucks” logo when you’re shopping, you’ll know that the item is NOT excluded and you can earn eBay Bucks on it. You can only earn up to $100 in eBay Bucks on a single eBay purchase, and up to $500 in eBay Bucks during a calendar quarter. You’d probably be spending tens of thousands of dollars on eBay to run into this limit, so there’s a good chance it will never come up, but it’s good to know in case it does. Like Ebates, the eBay Bucks system pays out quarterly, or every three months. The eBay Bucks certificate expires in 30 days, so you’ll only have about a month to use it after you receive it. Finally, you can only earn eBay Bucks on purchases made on the US eBay site. I highly recommend signing up for all three of these programs – joining is free and doesn’t take very long. Sometimes Ebates has a higher cash back percentage, sometimes Swagbucks, so it’s good to have both options. If you’re a bit apprehensive or overwhelmed by these programs, I recommend signing up for Ebates first. (If you do most of your online shopping on eBay, though, then definitely sign up for eBay bucks instead.) Once you feel comfortable with one program, then join the next. Pretty soon you’ll be earning money back on your ordinary purchases, which is a great way to make your vacation fund grow and grow! Save this for later – pin it to your favorite Pinterest board!